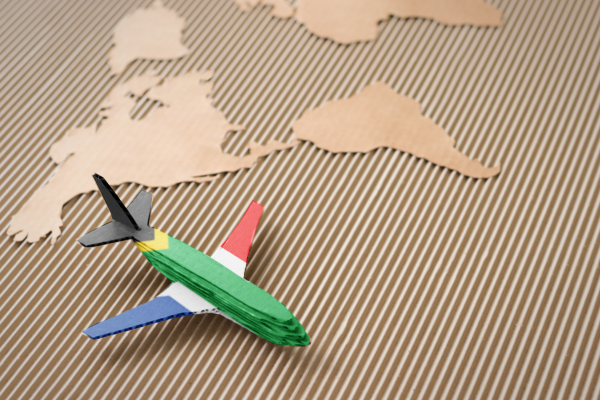 Emigration experts predict that South Africa will break local emigration records in 2018, with several data releases and surveys showing the extent of this trend, and what may lie ahead if it continues. In a recent report, Pew Research estimated that at least 900,000 people born in South Africa were living abroad in 2017. At current rates, this could easily be over one million people by the time of the next national census (2021) – including mostly wealthy white, educated professionals. Tracking emigration rates in South Africa is difficult task without running a monthly headcount, however, several data points provide some indication of who is leaving and why. In its latest mid-year population, Stats SA estimates showed that, even though South Africa is set to record net immigration of around one million people between 2016 and 2021, this comes at the loss of about 115,000 white South Africans. Stats SA showed that over 612,000 white South Africans will have left the country since between 1985 and 2021 – 430,000 of which will have left in the 20 year period between 2001 and 2021 (at a rate of 21,000 a year, in-line with most of the population declines). While there are estimated to be 4.52 million white South Africans in the country in 2018, up from 4.49 million in 2017, the proportion of the population is shrinking (7.8%, down from 8.0% previously) – and is expected to continue to decline, according to another set of stats published by Solidarity. One of the ways to track emigration rates is through various industry surveys that track the movements. The FNB property barometer is accompanied by surveys, looking at why homeowners are selling, buying, upscaling or downscaling their homes. Among the reasons listed, selling homes for the purpose of emigrating is one of the metrics tracked. According to FNB’s Q1 data, emigration as a reason for selling has been increasing over the past few years, climbing from 4.6% of all sellers in 2016, to 7.4% in 2018. Various emigration facilitators have noted an increase in the number of queries related to moving overseas – with others saying that many people are now acting on plans to leave, rather than just ‘putting feelers out’. 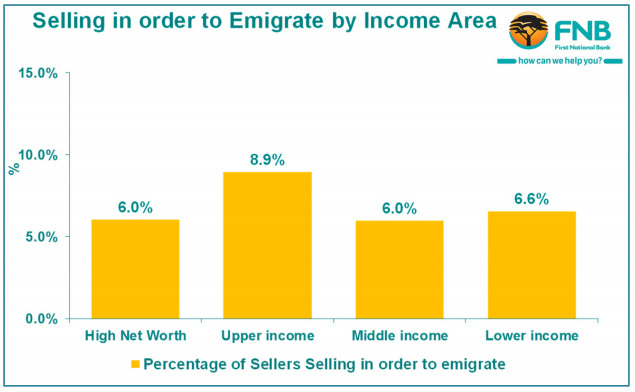 FNB’s data also showed that those households which cite emigration as their reason for selling are more prominent in the upper and high-income groups – up to 9%. But more worryingly, is that it’s still happening across the board. 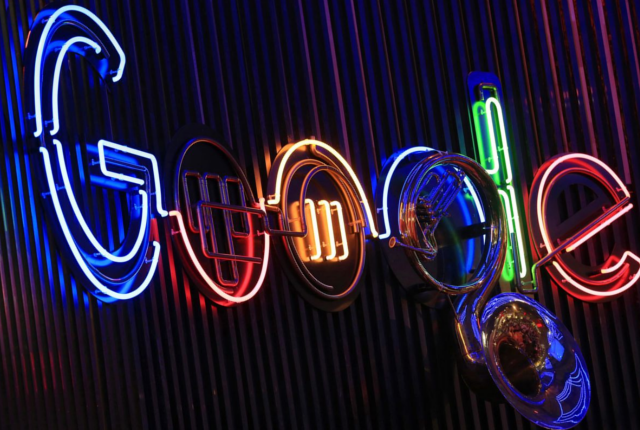 The Frank Knight Wealth Report for 2018 showed that between 2012 and 2017, South Africa lost almost a quarter if its super wealthy individuals – those who have a net worth of over $5 million – dropping from 13,380 in 2012, to just 10,350 in 2017. The jump between 2012 and 2016 was even greater, with a 32% decline in the number of high net worth individuals over that period. While this drop in wealthy individuals is not exclusively attributable to emigration (as South Africa’s struggling economy has also destroyed a lot of wealth), experts cited in the report indicated that emigration played a big part, saying that “wealthy South Africans are likely to continue moving money abroad and acquiring dual citizenship”. Emigration is not only effecting the current skill pool in the country, but also the future skills base, as families who move out of the country take their kids with them. Private school group AdvTech published its interim results for the first half of 2018, noting a decline in the number of its learners, attributed to economic woes and emigration. AdvTech CEO, Roy Douglas noted that of the reasons for student departures, emigration accounts for almost 30%. The future also appears uncertain for workers in the healthcare sector, with government looking to implement National Health Insurance (NHI). 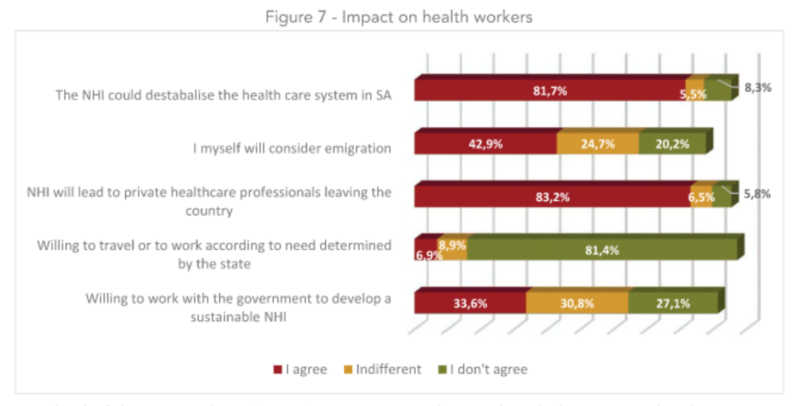 A recent survey of health professionals, run by union Solidarity, found that 43% of healthcare professionals would consider leaving South Africa should government move ahead with implementing the NHI scheme – while 83% were convinced that the scheme will ultimately cause more professionals to leave the country. More recent coverage of government’s plans for land expropriation without compensation has caused even more uncertainty among South Africans, with relation to the security of property rights in the country. While president Cyril Ramaphosa has moved to assure the country that the government’s plans are not to nationalise land, markets have not responded well to the plans, while other countries have expressed keen interest in drawing in the skills of farmers who may find themselves displaced.